How this should be done in the 21st century engages the thoughtful attention of David Conway in the context of today’s national curriculum. Conway makes a robust case for why “a free society cannot operate without a body of well-educated citizens who have the ability and confidence to hold government and public services to account” Like Thomas Jefferson before him, Conway argues that if the people are not enlightened enough to participate within political affairs the remedy is not to take that responsibility from them, but to educate them well enough to participate with full comprehension. To create such an educated citizen, Conway argues, it is necessary to draw upon the wisdom of the ages classified into separate disciplines each with its own particular methodology. Conway deplores the attempts by modern educationalists (he specifically sites Richard Pring of Oxford) to simplify such studies to fit the limited attention span of what they see as an ever less thoughtful and careless society. This is not just a problem of our own time for Aristotle understood that what might make sense to a mature mind could mean little to youngsters who had no experience of life and could only repeat high-flown phrases ‘without conviction of their truth.’ Without experience of the rough and tumble of life questions raised by a liberal education mean little to the young. A functional democracy, such as England, requires men and women of affairs who can think like philosophers and philosophers who can think and act as craftsmen. John Milton understood this when he said that “although a man should pride himself to have all the tongues that Babel cleft the world into, yet if he had not studied solid things as well as words he would nothing so much be esteemed a learned man as any yeoman or tradesman.” The English have subsequently done themselves great damage by either not recognising this or falling into the trap of so watering down intellectual study that it becomes almost worthless. 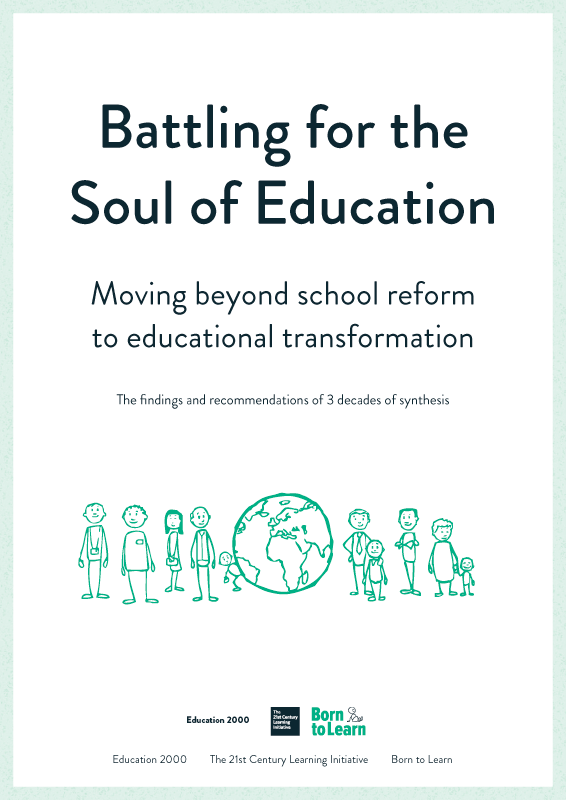 It is the very lack of a unified understanding of what English schooling should be about that the Bristol Report on Transition so shockingly demonstrates. Bristol is a patchwork of different kinds of schools – state and independent, ancient foundations, secondary modern schools redesigned as comprehensives, Academies and Foundation Schools, each with their separate ethos and character, receiving children at the inappropriate age of eleven from more cohesively planned primary schools. And it is here that English schooling falls apart for the differences between the primary and secondary schools are fundamental and include the assumptions, the prejudices, “the language, the approach, for the very nature of the phases are as different as any two cousins can be.” Bridging that gap consumes all the time and energy which teachers should be putting into developing “a complete and generous education.” The system, the Report concludes, reinforces the culture of “two tribes, the tribe of secondary teachers and the tribe of primary teachers” which squeezes out any genuine attempt to ensure that liberal education for which Conway and Milton (and probably Pring) plead so convincingly becomes the bedrock of democracy.